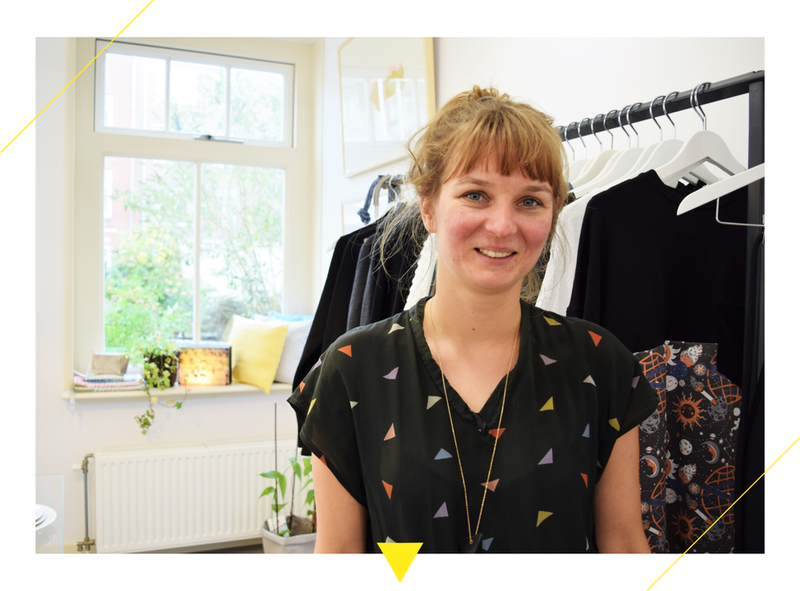 Alumni Story: how did Olga set up a new fashion business? One of the most frequent questions we hear is “How do I set up a new fashion business”? The answer is complex with many variables which need to be taken into account. This is why we met up with one of our former students who has recently started a new business in the Jordaan. This area was once the underbelly of Amsterdam’s working class but now it is famous for its cozy and unique boutiques, cafés and restaurants. Olga Salamon, originally from Poland has decided to fly the flag and bring Polish art and design to Amsterdam. In doing so, she is also continuing Amsterdam’s cosmopolitan allure, maintaining its tradition of being an innovative cultural melting-pot. We went along to her Salamon Art & Designstore where she shared her experiences with us about her time at our international fashion Academy, how she managed to set up a new fashion business and just how much our course contributed to making this a success. We are very proud and happy for her and wish her the best. We recommend everyone to go and explore the delights of the Jordaan and of course visit Salamon Art & Design on the Rozengracht 75.